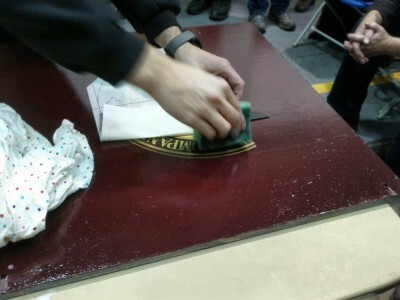 November 2013 saw the return to the annual carriage restorers convention to the National Railway Museum at York. The weekend was focused around a number of presentations and practical demonstrations, along with networking opportunities and access to some of the heritage carriages (LMS 14241 & Topaz) not normally open to the public. A demonstration of scumbling techniques by Mullins Studio. 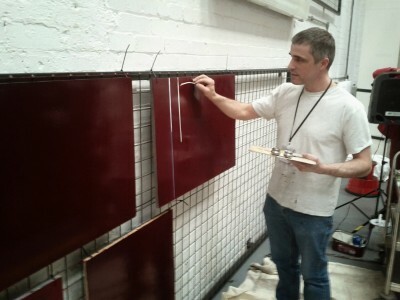 Ian Matthews demonstrates lining using a coachliner brush and signwriting paint. 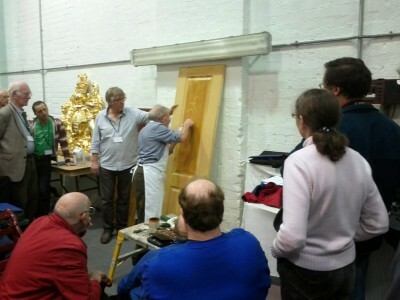 Stathis Tsolis shows the application of a varnish fix transfer. Further information can be found on the LMSCA website and NRM blog. 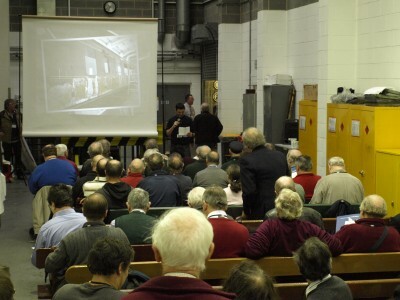 Presentations subjects included the restoration of the NER Railcar, water gilding, the Railway Heritage Registers Project, the NRM Carriages Illumination project, LNER restoration case studies, LMS 7828 restoration and Metropolitan Coach 353. The NRM have produced a YouTube video summarising the event which can also be viewed on their blog.